planet manners: Western Australia: Event. 1/4. PROTESTs around Australia AGAINST CULLING / BAITING SHARKS!!! Western Australia: Event. 1/4. 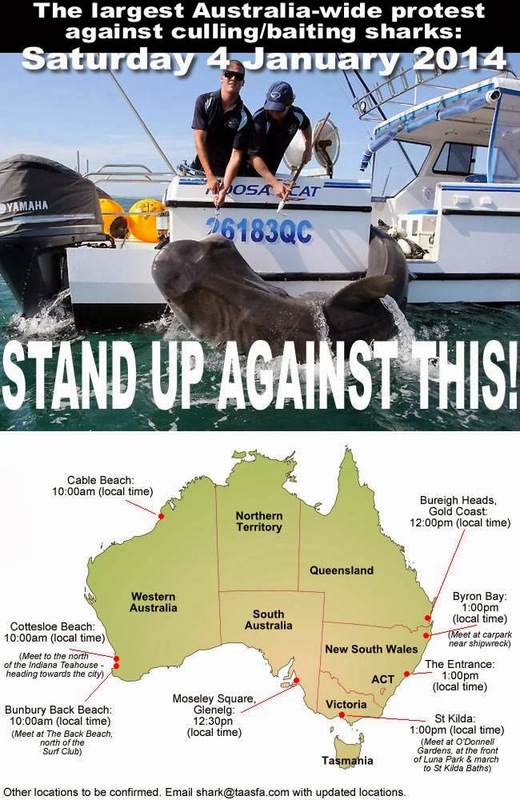 PROTESTs around Australia AGAINST CULLING / BAITING SHARKS!!! See graphic from Facebook "No Great White Cull in WA" for confirmed locations.